If Jean-Claude Van Damme were to ever get his hands on a time machine, he might well be tempted to travel back to September 16, 1994. 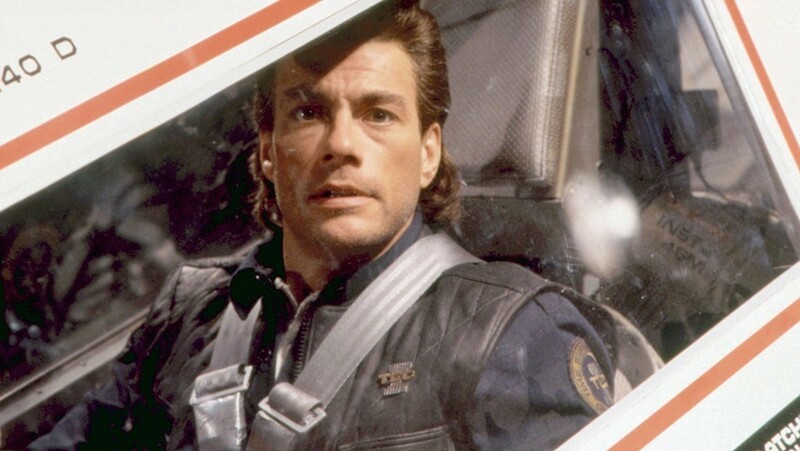 That was the day Timecop hit cinemas and the moment JCVD’s career changed forever. Previous hits like Kickboxer had essentially served as showcases for the Muscles from Brussels’ fighting abilities alone but this was different. Here was a film that defied genre convention to deliver an enjoyably slick sci-fi yarn alongside the usual high kicking action. 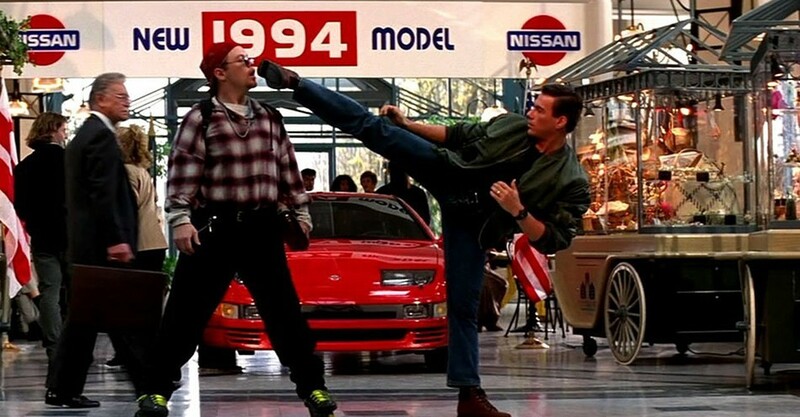 It also proved something else: Van Damme could act. 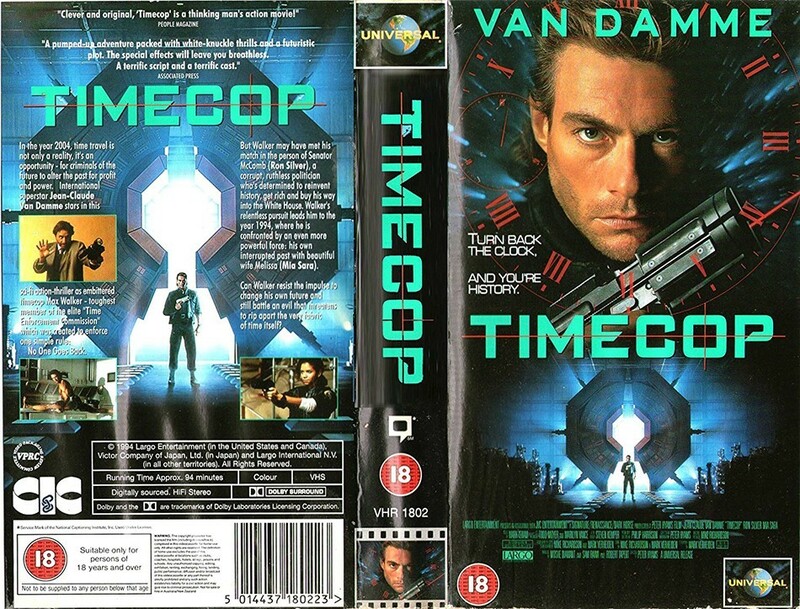 Earning Van Damme his first set of favourable reviews from the critics, Timecop also went on to rake in over $100 million worldwide and remains the Belgian’s top grossing movie. So how did it happen? 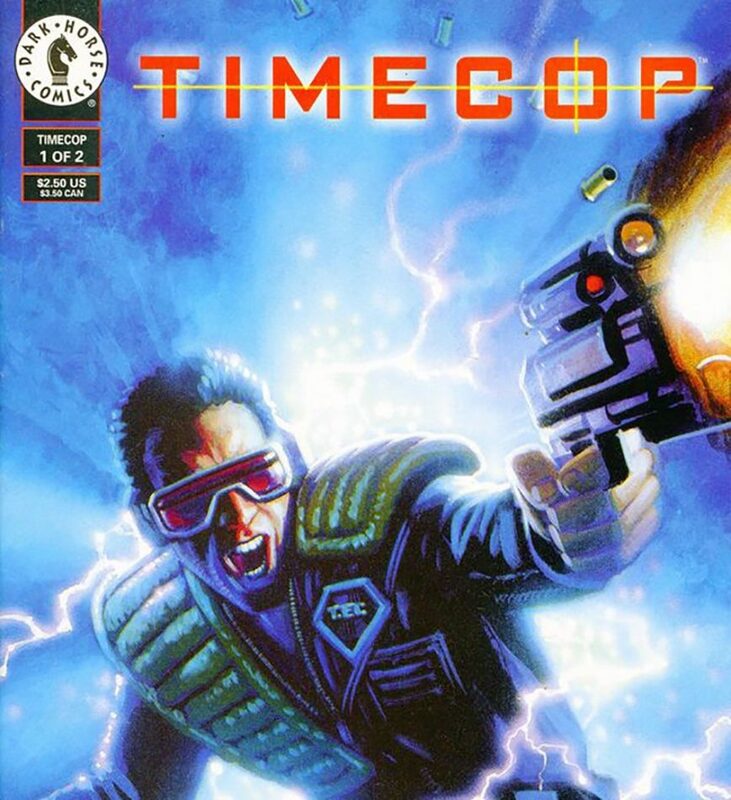 Timecop’s origins can be traced back to the world of comics. In 1992, Mike Richardson and Mark Verheiden teamed up to write a three-part story, which was drawn by artist Ron Randall for the launch of a new Dark Horse Comics anthology. “Time Cop: A Man Out Of Time” told the story of a criminal and his robot bodyguard, who travel back to 1930s South Africa to rob a diamond mine. They are eventually tracked down by Max Walker, a Time Enforcement Commission (TEC) agent tasked with apprehending illegal time travelers. 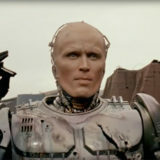 The criminal is caught soon enough, but Walker is forced to return back in time again after discovering that the robotic bodyguard is wreaking havoc with his own timeline. 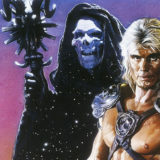 Picked as one of the first Dark Horse comics to be adapted to film – alongside Jim Carrey’s The Mask – the project’s first masterstroke was having Verheiden and Richardson return to write the script. 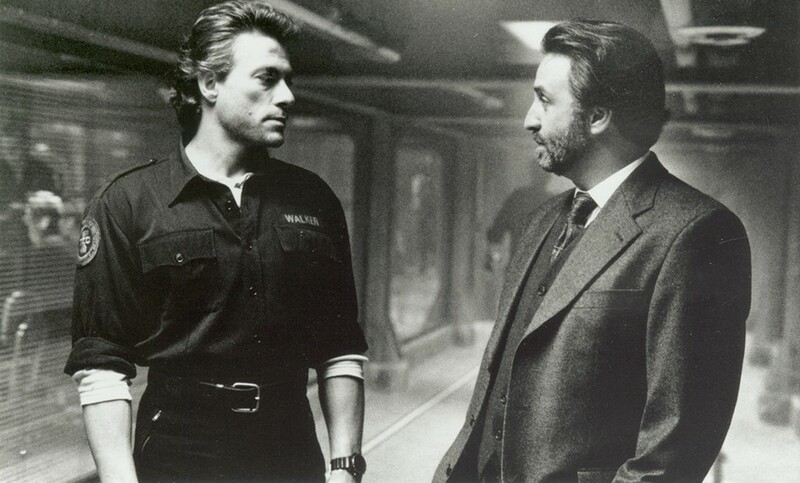 They took the action stateside, with Van Damme cast as Walker, the TEC agent on the case of a corrupt politician looking to buy his way into the White House by stealing funds from the past to become a billionaire. It’s an oddly prescient bit of writing that’s given further weight by the late Ron Silver’s performance. Taking a leaf out of Die Hard’s book, the makers of Timecop opted to cast an actor with a theatrical background as the film’s main villain and the movie is all the stronger for it. Silver is suitably scene-chewing as Senator Aaron McComb, switching between slimy and despicable with ease. Credit should also go to the decision to add an extra element to Walker’s backstory – he’s been tasked with returning to 1994, the year his wife was murdered. In doing so, the writers give Van Damme the necessary emotional anchor to draw out his best performance to date. Yes, the usually mix of high kicks, splits and one-liners are on hand to ensure the fans are fully sated, but there’s something more heartfelt about seeing JCVD’s Walker pine after his lost love. Casting Ferris Bueller’s Day Off favourite Mia Sara as Walker’s wife was a smart move too. The film was in good hands from the off though. Evil Dead duo Sam Raimi and Robert Tappert served as producers, having already tried their hands at a comic book movie of sorts with the criminally underrated Darkman. 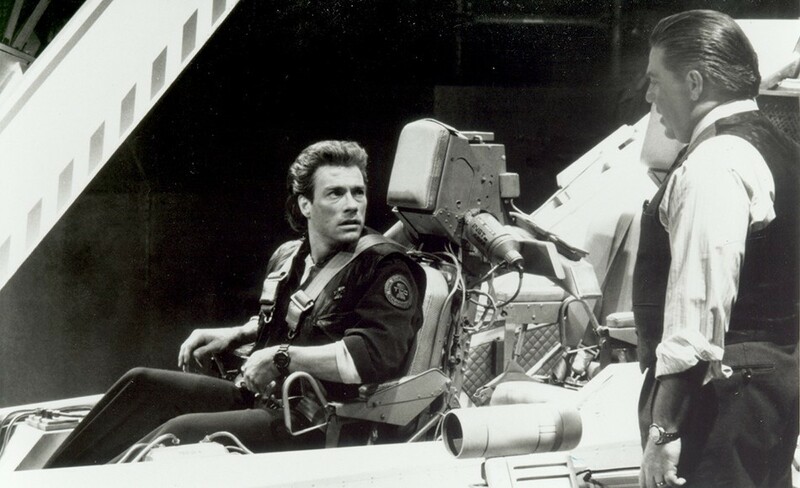 Arguably their masterstroke, however, was hiring Peter Hyams as director. While a high profile, critically lauded filmmaker was always likely to balk at doing a Van Damme movie, Hyams was different. 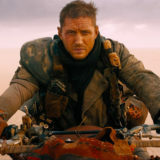 In the three decades previous he had made his name with a string of inventive and often underappreciated sci-fi movies like Capricorn One, Outland and 2010. Hyam didn’t take much convincing either. The box office returns and reviews suggest Hyam hit the mark. 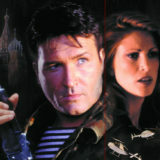 The film earned $45 million in the US with David Richards of The New York Times calling Timecop Van Damme’s “classiest effort to date”. 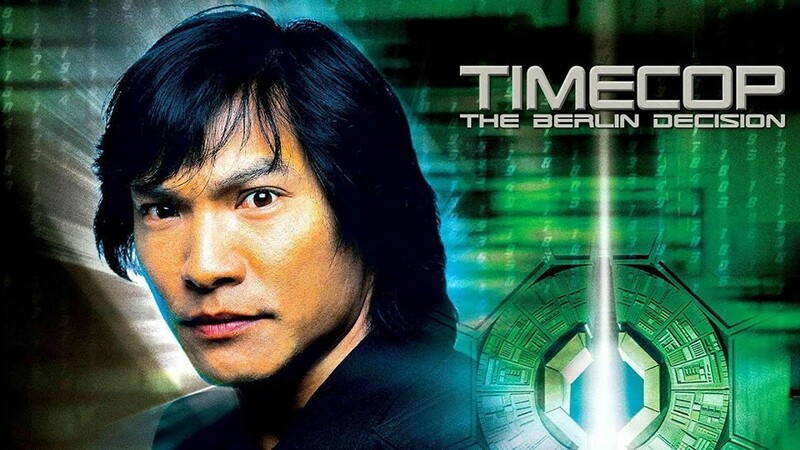 It may not have been the perfect movie, but it was a unique riff on the time travel concept, injecting inventive JCVD-led action into a genre that had previously had little to do with high kicks. It’s a lot of fun too, helped by a script that features plenty of vivid and creative deaths and fight scenes in keeping with the story’s comic book origins, whether it’s frozen arms being kicked off, electrocution or a spot of maniacal time travel melding. 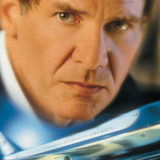 The movie arrived at the perfect time too, hot on the heels of the success of Terminator 2: Judgement Day with moviegoers evidently demonstrating an appetite for time travel-led action and special effects. Unfortunately for Hyams and Van Damme that is exactly what they did – a short-lived TV series of Timecop, more comics and an Adolf Hitler-focused straight-to-video sequel followed. Jean-Claude Van Damme opted against returning for Timecop 2: The Berlin Decision but in a world where remakes, sequels, prequels and reboots are all the rage, something tells us Timecop will be back again before long.